If your AEG tumble dryer shows some kind of an issue do not worry, as we at Happy Appliances specialize in AEG tumble dryer repairs. Our appliance engineers can provide you with a full appliance repair service for your tumble dryer to ensure that you do not face any problems in the near future. The engineer will diagnose the problem and come up with the cheapest and best solution for you. All repairs are done in the comfort of your own home on a day that suits you. The engineer will call you when he is on the way and will carry out a full appliance check before he leaves to make sure that there are no more problems. We provide a one year guarantee on all electrical appliance repair works. 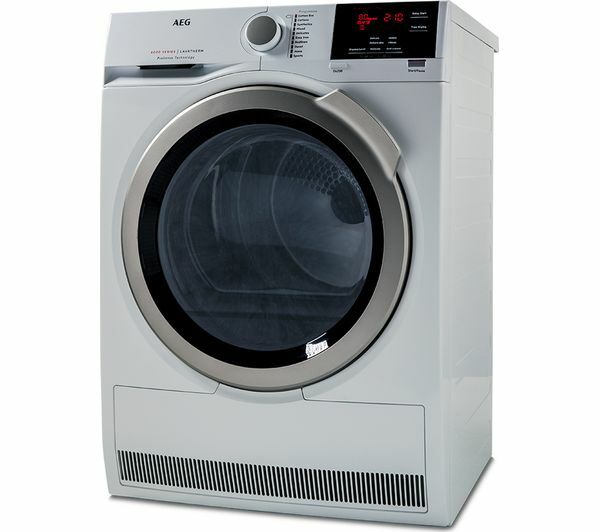 If you have decided to buy AEG tumble dryer, we can also help you with the installation. The HappyAppliances team of friendly engineers can install your newly bought Tumble Dryer in no time with no hassle. All you need to do is to contact us and leave the rest in our hands.